You may already know that having a successful system in place is critical in determining franchisablility, but what else is involved? 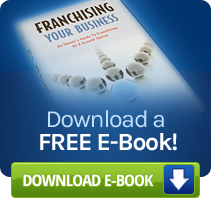 How do you franchise your business? Now that you know you’re franchisable, where do you go from here? You can fast track if you know how to build your business. When you’ve determined that you’re franchisable, be sure you understand how much you’ll be investing and don’t miss any opportunities by making costly mistakes that every owner should try to avoid. Next you could attend a Francorp Seminar to meet with a Senior Consultant and learn more about what’s involved. Francorp is the industry leader in guiding clients through the franchise process. For quick and direct assessment of your opportunity, contact us and speak with a Franchise Analyst directly, or book an appointment online.